South Arm Primary school: 618 tyres. 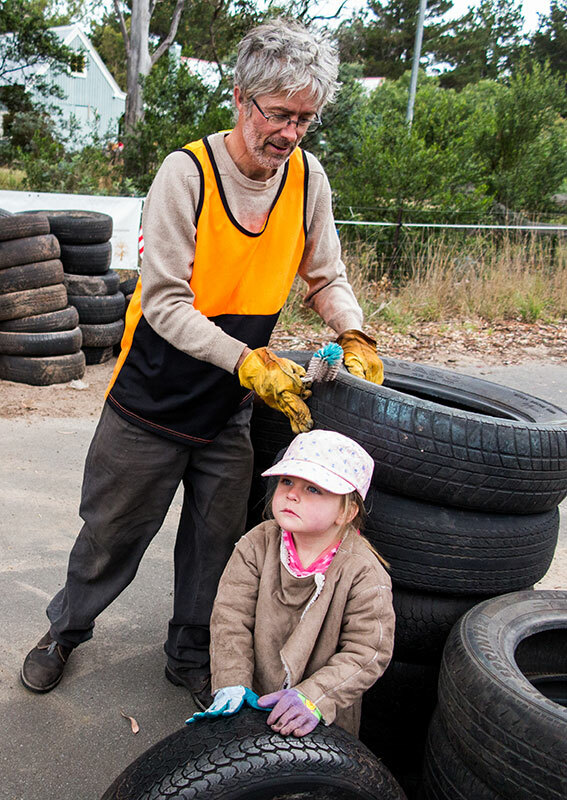 Cleanup event was held on Sunday 12 April 2015 (flyer). See our GALLERY of photos from the cleanup day. Cost of cleanup are being shared by the South Arm Primary School, the Tasmanian Conservation Trust, and donations.